Anna struggles to make friends and frequently gets into trouble at her boarding school, which troubles her foster mother, Mrs. Preston. In order to help Anna, Mrs. Preston, whom Anna calls "Auntie," sends her for an extended summer holiday to stay with Mr. and Mrs. Pegg in Norfolk. While exploring the marshes surrounding the Peggs' house, Anna discovers The Marsh House, and eventually meets Marnie, a young girl always dressed in fine clothing who lives in the house and comes to meet Anna in secret at night. Anna and Marnie become fast friends, spending many evenings together on the water and in the dunes. 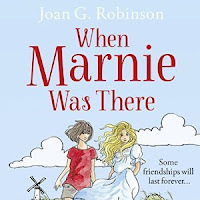 One terrible night, though, their wonderful secret friendship comes to a sad and sudden end, and Marnie says a tearful goodbye as she tells Anna her family is making her go away. 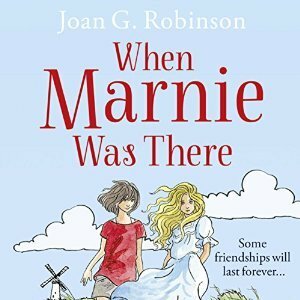 Once Marnie is gone, Anna slowly begins to bounce back from the intensity of their friendship, even convincing herself that Marnie may never have existed. When a new family moves into The Marsh House, however, it becomes clear that Anna doesn't yet fully understand her connection to Marnie.